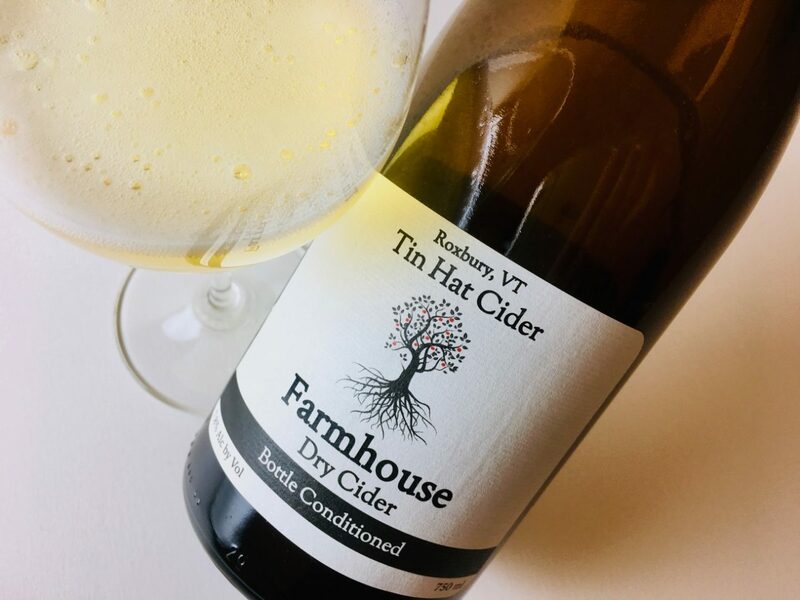 I had my first taste of Vermont heritage cider in late 2018. I’d dropped into Mad River Taste Place in Waitsfield for a bite of local cheeses and a sip of whatever might be open. 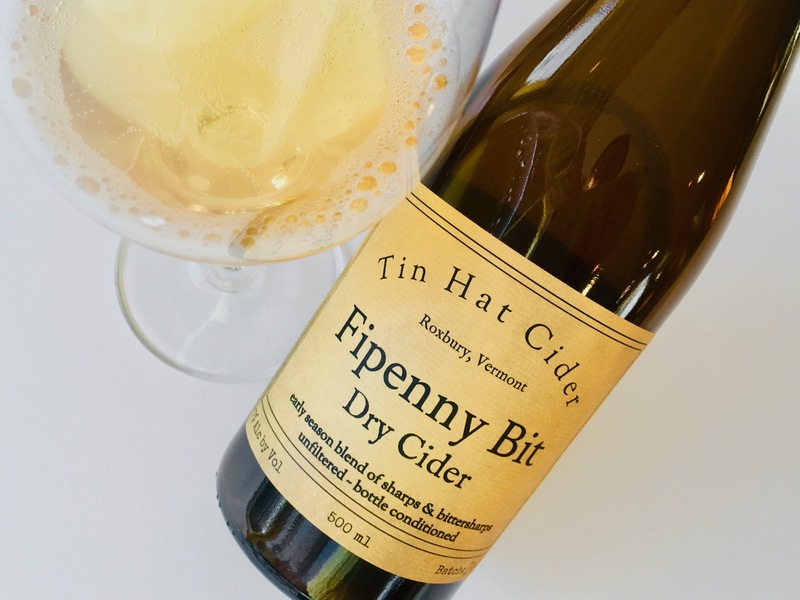 That day the crew was pouring tastes of two ciders, and Tin Hat’s Fipenny Bit was an easy choice, because it’s made right nearby using a combination of foraged seedling apples and orchard fruit. This particular Fipenny Bit bottling is from the 2015 harvest. 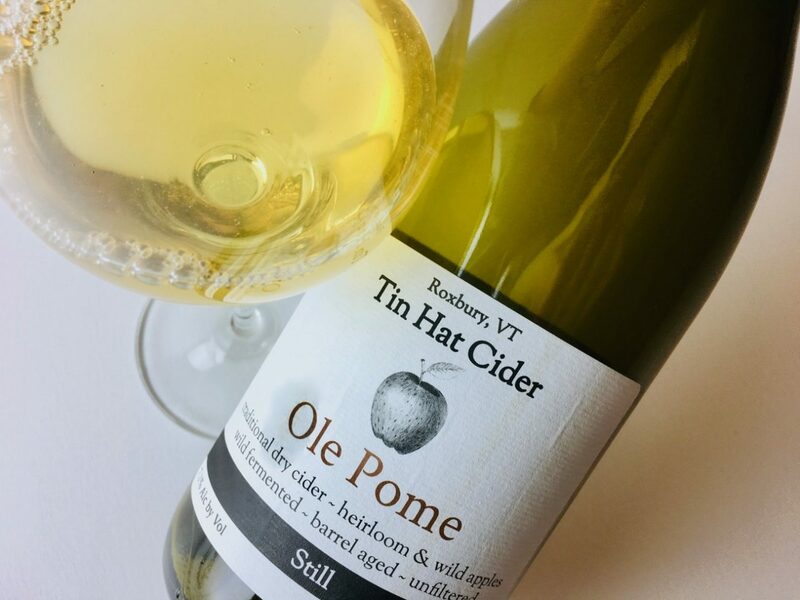 The apples were processed using traditional rack and cloth press, then wild fermented and aged in a mix of stainless and oak barrels. 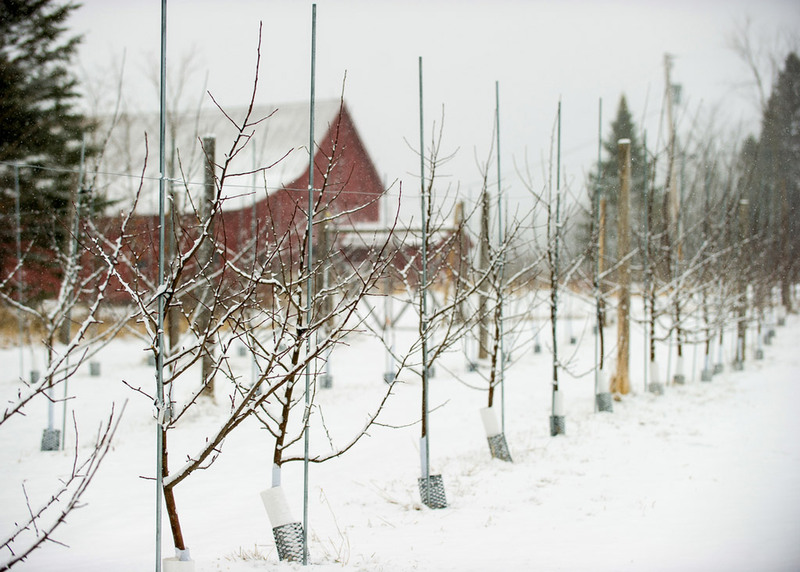 The cider was then conditioned in half-liter bottles and released un-disgorged. It throws some sediment, so stand it awhile before decanting it off the lees, or just pour it confidently and drink it. The golden body is animated by fine, mercurial bubbles that form skeins across the surface before congregating into a foamy rim. The aromas are of apple both fresh and fermented, and it also has a profound spiciness: I get red apple skin, rose hip, ginger, and turmeric. The bloomy mousse carries serious savoriness in the mid-palate plus a squeaky sharp bite of bitterness at the finish. It’s terrific with spiced foods featuring coriander, curry, cardamom, lemongrass, lime leaf, ginger, turmeric. This was the cider that first convinced me cider is amazing.